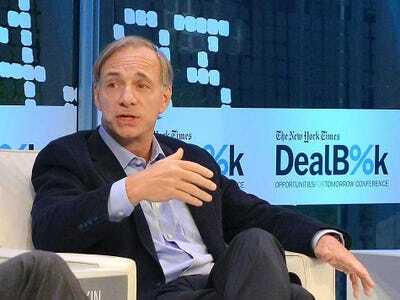 Ray Dalio has grown his investment firm Bridgewater Associates into the largest hedge fund in the world, with $US160 billion in assets. He’s worth an estimated $US15.2 billion himself. He’s a genius, and an eccentric one at that. Dalio believes in “radical transparency,” which means that everything at Bridgewater is under constant surveillance — all meetings, all interviews, and all interactions are taped. He runs Bridgewater according to 210 principles that he’s collected in a manual for his employees. But Dalio has responded to critics by saying that Bridgewater’s unique approach isn’t manipulative or cultish, but based on a powerful unifying culture. And clearly whatever they’re doing over there is working. Today the 2011 edition of the exhaustive manual he gives to employees is available on Bridgewater’s website for anyone to read. We’ve summarized Dalio’s 20 core management principles below. “Create an environment in which everyone has the right to understand what makes sense and no one has the right to hold a critical opinion without speaking up about it,” Dalio writes. He believes that even though the truth can be scary (like when your boss points out one of your flaws), it’s necessary for optimum performance. Dalio has actually fired employees for talking behind a coworker’s back. “If you talk behind people’s backs at Bridgewater you are called a slimy weasel,” Dalio says. 2. Teach your team that it’s ok to fail if it results in learning something. Dalio believes that managers need to expect mistakes from both their employees and themselves. And analysis of mistakes should be quick and as painless as possible. “Create an environment in which people understand that remarks such as ‘You handled that badly’ are meant to be helpful (for the future) rather than punitive (for the past). While people typically feel unhappy about blame and good about credit, that attitude gets everything backwards and can cause major problems. Worrying about ‘blame’ and ‘credit’ or ‘positive’ and ‘negative’ feedback impedes the iterative process essential to learning,” Dalio writes. He also believes that it is a manager’s responsibility to weigh the value of coworkers’ opinions. In the same way that you’d value golf advice from Tiger Woods over advice from a friend, Dalio writes, you should value the opinion of a worker with a proven track record over someone without one. Ray Dalio/Bridgewater AssociatesYour team should work as a machine designed to achieve your goals. Before you begin a search for an employee, determine not just the job’s qualifications, but which specific qualities you want in that hire. And make sure that the person you are hiring naturally shares your values. Bridgewater employees are given personality tests so that managers can determine how they can best be managed. Dalio’s test is essentially his version of the Myers-Briggs test. When considering a job candidate, Dalio places the most importance on values (“deep-seated beliefs that motivate behaviours”), then abilities (“ways of thinking and behaving”), and then skills (“learned tools”). He suggests finding a candidate who doesn’t just want the job but wants to be part of the company. “Micromanaging is telling the people who work for you exactly what tasks to do and/or doing their tasks for them. Not managing is having them do their jobs without your oversight and involvement. 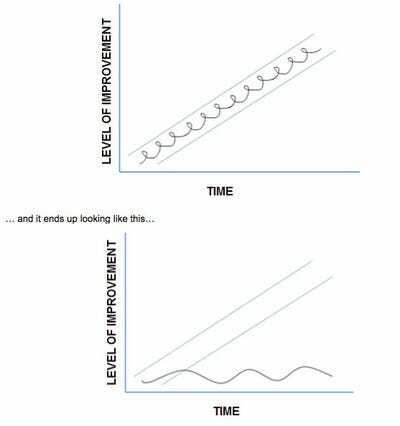 Managing means: 1) understanding how well your people and designs are operating to achieve your goals, and 2) constantly improving them. 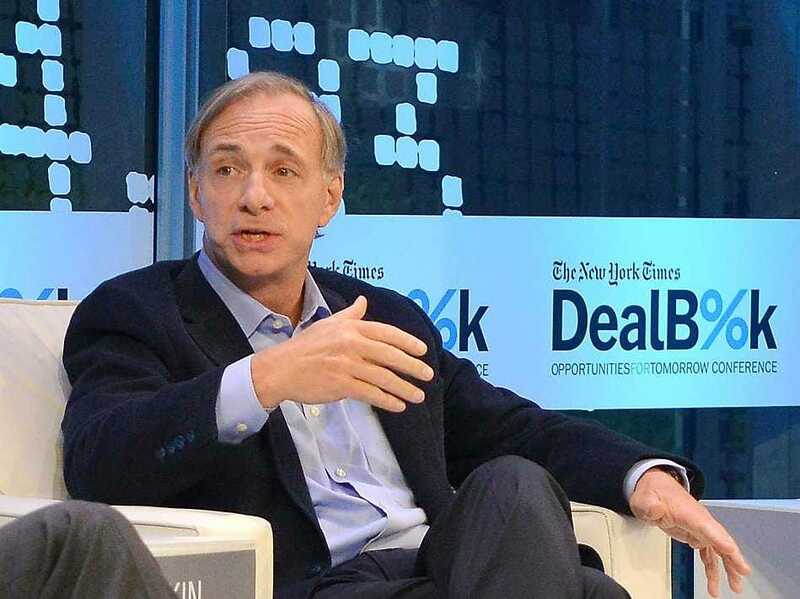 To be successful, you need to manage,” Dalio says. And to manage effectively, everyone needs to know what the team’s long-term goals are and what individual employee’s tasks are. Dalio says it’s necessary to avoid the term “we should,” since an objective should be concrete and assigned to a specific party. “The main reason Bridgewater has improved at a much faster rate than most other companies over the past 30 years is that we seek out problems and find systematic ways of eliminating them,” Dalio writes. He thinks that managers and their employees shouldn’t pick their battles but fight them all, in the sense that they should never let even small problems float by without being addressed. Don’t assume that criticising your employees will harm them. Discuss their performance with them objectively, and do so in a way that results in a plan for improvement. And don’t wait for periodic evaluations to let them know how they’re doing. “Child psychologists, dog trainers, and other behaviour modification specialists will tell you that constant, no-exception feedback is fundamental to good training,” Dalio writes. 10. Guide your employees’ evolution. If you’re telling an employee exactly what they need to do to complete a task, then you’re either micromanaging or the employee is inept. “So give people your thoughts on how they might approach their decisions or how and why you would operate in their shoes, but don’t dictate to them. Almost all that you will be doing is constantly getting in synch about how they are doing things and exploring why,” Dalio says. 11. If someone isn’t working in a role, take them out of it. “People who repeatedly operated in a certain way probably will continue to operate that way because that behaviour reflects what they’re like,” Dalio says. That means that if someone isn’t clicking with their role, you’re doing neither of you a favour by manipulating the role around their tendencies. Consider whether they’d be a better fit elsewhere in the company, and if not, then it’s probably best to fire them. Ray Dalio/Bridgewater AssociatesYour team’s improvement should look like the top chart and not the bottom. 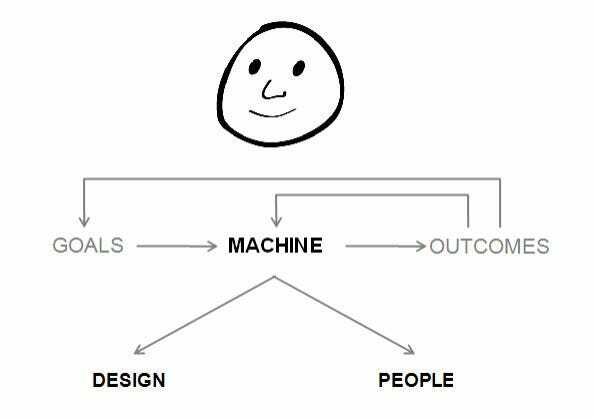 “To perceive problems, compare how the movie is unfolding relative to your script — i.e., compare the actual operating of the machine and the outcomes it is producing to your visualisation of how it should operate and the outcomes you expected. As long as you have the visualisation of your expectations in mind to compare with the actual results, you will note the deviations so you can deal with them,” Dalio writes. Don’t treat problems as if they are one-time occurrences, Dalio says, since they’re just the manifestation of a certain behaviour or bias. Work with your employee to find these roots so that the expectation of the mistake being repeated is then lowered. Managers and their employees need to do a post-mortem on resolved problems and place them in the context of the past and the future. Place everything in the context of how you want your “machine,” your team, to operate at its peak. “An organisation is the opposite of a building — the foundation is at the top,” Dalio says. The head of a company should determine their goals and find managers who can help them achieve them by assigning tasks to their direct reports. “You can make great things happen, but you must MAKE great things happen. Times will come when the choice will be to plod along normally or to push through to achieve the goal. The choice should be obvious,” Dalio writes. Ray Dalio/Bridgewater AssociatesIf you’re on trajectory B, your machine isn’t working. 17. Recognise what you don’t know. “Successful people are great at asking the important questions and then finding the answers. When faced with a problem, they first ask themselves if they know all the important questions about it; they are objective in assessing the probability that they have the answers; and they are good at open-mindedly seeking believable people to ask,” Dalio says. Dalio approaches managing people the same way he manages investments. “Recognise opportunities where there isn’t much to lose and a lot to gain, even if the probability of the gain happening is low,” he writes. “Be an effective imperfectionist. Solutions that broadly work well (e.g., how people should contact each other in the event of crises) are generally better than highly specialised solutions (e.g., how each person should contact each other in the event of every conceivable crisis), especially in the early stages of a plan. There generally isn’t much gained by lots of detail relative to a good broad solution,” Dalio writes. Dalio says that your decisions should be made with this trajectory in mind. 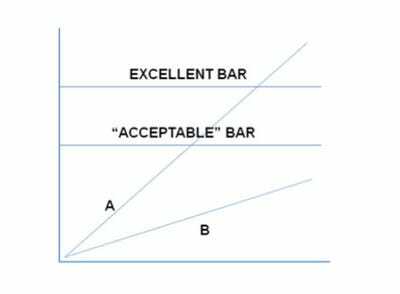 “Avoid the temptation to compromise on that which is uncompromisable,” and don’t try to please everybody with every choice you make for the team.